Network neutrality is the idea that your cellular, cable, or phone internet connection should treat all websites and services the same. Big companies like AT&T, Verizon, and Comcast want to treat them differently so they can charge you more depending on what you use. The French are renowned for their haute cuisine, which literally means 'high cooking', but in Dubai developers have taken it to another level. The world's highest restaurant opened its doors yesterday... and it's a dizzying 1,350 feet (422 metres) from the ground - not ideal for vertigo sufferers. Ouattara's prime minister called on followers this week to take to the streets in an Egypt-style uprising against incumbent leader Laurent Gbagbo. Gbagbo declared a nationwide curfew on Friday through the weekend. BBC News - Could 3D television be dangerous to watch? 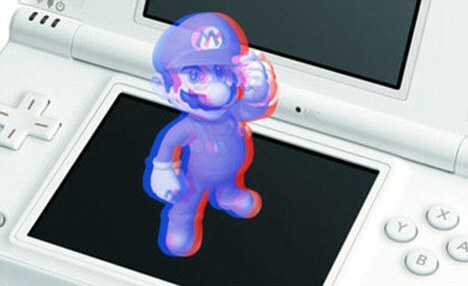 Recent safety advice has said 3D TV is not suitable for children, but does that mean the technology is a health risk? When Peterborough mayor Keith Sharp wanted to rent Piranha 3D on DVD a few weeks ago, he was not expecting to have his request turned down on health and safety grounds. BBC News - Mobile World Congress: What will take 2011 by storm? Mobile World Congress: What will take 2011 by storm? Tensions in Bahrain escalated (BBC) on Friday with reports of troops firing on anti-government protesters. But unlike in Egypt and Tunisia, the unrest in Bahrain is unlikely to lead to the collapse of the regime, says F. Gregory Gause III, an expert on the Gulf states. Gause notes that in Tunisia and Egypt, security forces identified with the protesting crowds, while in Bahrain there's a "strong sectarian division" between the Sunni monarchy's security forces and the crowds, which are largely Shiite. Gause says Saudi Arabia, which has a direct causeway to Bahrain, is worried about the potential security situation and notes there are rumors some Saudis may already be in the Bahrain security forces. Gause also says that the situation in Bahrain poses a serious dilemma for the United States. While Secretary of State Hillary Clinton praised the king of Bahrain and his reforms when she visited just two months ago, now the White House is rebuking the government (MSNBC) for using force. But if the regime fell and the United States was forced to give up its Fifth Fleet base in Bahrain, "the idea that you would sacrifice the headquarters of your Naval forces in the region at a time when your foreign policy goal is to contain Iran would certainly be seen as a victory for Iran and a defeat for the United States," says Gause. In a moment that may prove as decisive to the Middle East as the 1967 Arab-Israeli war, 18 days of protest hurtled Egypt once again to the forefront of politics in the Middle East. In the uprising’s ambition, young protesters, savvy with technology and more organized than their rulers, began to rewrite the formula that has underpinned an American-backed order: the nation in the service of a strongman.